Kids that grew up in the 1970s witnessed first-hand the birth of the digital revolution, and one of the first places that emerged was in our toy boxes. While electronic toys had been around for a while (for example, Robots were probably among the first toys to require batteries, but perhaps one of the most prominent examples was the Milton-Bradley game known as "Operation" which emerged in the 1960s), electronic games sold to the masses really emerged during the 1970s. "Why simulate these 20+ year old games that had, at best, only the crudest of graphics and sounds? 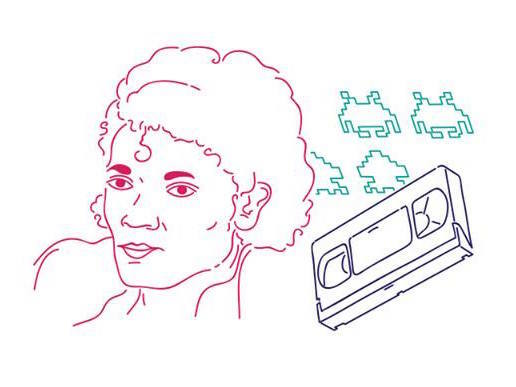 Without an effort to preserve these memorable games, most or all of them would eventually fade into obscurity. Many already have. It is my endeavor to ensure these games are remembered into the future as the culturally significant icons I believe they represent." 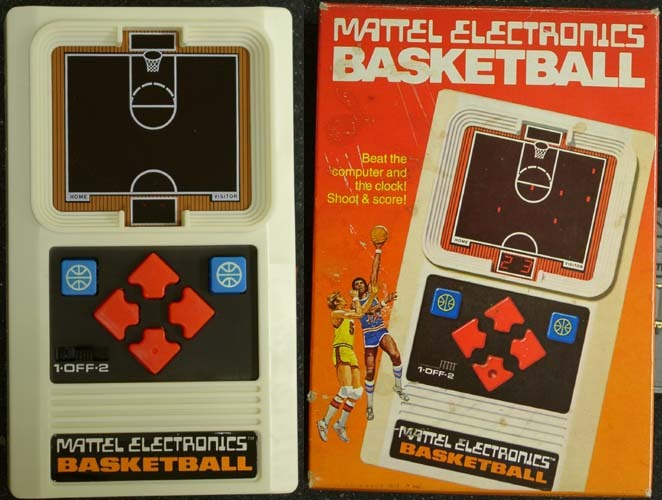 Thanks at least in part to his efforts, in recent years, we've seen some of the classic Mattel handheld electronic game library that was sold from 1978 to 1980 being translated into various other operating system platforms. 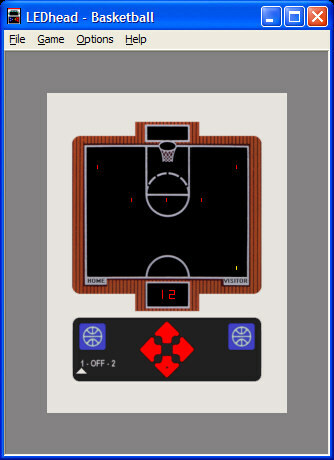 For example, his own site offers free downloads for LEDhead on various iterations of Windows, PocketPC, and PalmOS handheld devices, iOS (iPhone/iPod Touch/iPad). Indeed, his efforts to chronicle a part of toy history has inspired third-party developers to pursue the same thing, which seemed to be Mr. Hirschberg's intent all along, mainly to ensure these vestiges of the Gen X childhood didn't disappear completely. So-called emulators exist for many early video games on PCs, but the handhelds didn't seem to hold as much appeal to developers, so Mr. Hirschberg's initiative seems to have hit an appropriate nerve. Several nice ports of some of these early eletronic distractions we called games are already on the market, most notably from a San Diego-area (La Jolla, home to UCSD) firm called touchGrove, LLC which already markets a big part of the Mattel LED handheld games collection on iTunes, but has since ported the beststelling Football app over to Android. The pricetags are decent, as I write this in September 2012, at just $0.99 on iTunes. although the Android version is priced at $1.99 and must be purchased from the Amazon.com App Store, not via the Google Play marketplace. I wouldn't mind that if Amazon didn't also require the Amazon marketplace to remain on the phone in order to use the downloaded app; I consider that bloatware. Although the port into Android is decent enough, it does require the device to be held sideways and does not automatically rotate with the device itself. Beyond Mattel Electronics' extensive collection, we must not forget its competitors. At the time, Parker Brothers' (now part of Rhode Island-based toy conglomerate Hasbro) had a few electronic games, one of which was "Merlin: The Electronic Wizard". Again, a full replication of that is now sold on iTunes from Tewti Development (see HERE). Coleco was another player at the time (the company went out of business many years ago) which had a stable of electronic handheld games, but I haven't seen any preservations of those. Finally, aside from these mobile phone ports, reproductions of the originals have since been reintroduced. In 2009, for example, Mattel began selling lookalike versions of the originals dubbed "Mattel Classic Football/Basketball/Baseball Handheld". That was also around the same time we saw versions of the Atari 2600 and Intellivision with about 30 games built-in marketed in small, plug-in devices for your TV. For the record, Time magazine has dubbed the original Mattel Electronic Football as one of the greatest 100 toys (technically, #69, see HERE), writing: "Simplicity served Mattel well in this ancestor of the handheld games of today." Some of Mattel's TV commercials for these games can be seen below, or by visiting https://goo.gl/Zpfzs4. For the moment, these devices remain widely available in new formats, but the extent they are updated for new operating systems which have yet-to-emerge may ultimately depend on how accessible those platforms are for developers. However, for Gen Xers wanting to return to the simple electronic handheld games of their childhoods, they remain widely available on something you're likely to be holding anyway: your smartphone. For the record, be sure to visit Peter Hirschberg's site "LEDHead" at http://www.peterhirschberg.com/handheld/ledhead, there, you'll find some early ports of these old games as well as links to such sites as HandheldMuseum.com, both of which are worth visiting. Keep in mind that new ports for Android may be sold via third-party marketplaces, such as the Amazon App Store, so just because you don't find it on the Google Play Market doesn't mean an app doesn't exist. Author P.S., March 18, 2018: There was news today that Internet Archive will be offering a new series of emulators for handheld toys and games which are designed to mimic some of gaming's more obscure artifacts — the handheld games, such as those sold by Mattel Electronics, Parker Brothers, Coleco, Tiger Electronics and others (including Texas Instruments' Speak & Spell highlighted in the film "E.T. the Extra-Terrestrial") of the sort that were highlighted in this post. It attempts to make portable, digital versions of the LCD, VFD and LED-based machines that were sold, often cheaply, at toy stores and booths over the decades. Aside from the archival and nostalgia value provided by the emulators themselves, this effort also documents some relevant computer coding and manufacturing detail, as well as instruction booklets that frequently accompanied the original handheld games which have long since become artifacts of history. This is consistent with Peter Hirschberg's objective to try and preserve these relics of the past. The collection at Internet Archive can be found at https://archive.org/details/handheldhistory.